This morning, my alarm clock went off at 6:00 a.m. Within minutes I was out of my bed and had my running gear on: I’d put on running shoes and socks, a t-shirt, and my favorite workout shorts. At exactly 6:15 I was out the door, and within a few minutes I’d started warming up for my run. Today was Thursday, so my training schedule says it’s tempo run day. Tomorrow I’ll be waking up at the same time but with a different goal in mind. I’ll be doing a yoga workout, and later in the afternoon I’ll be hitting the gym for a CrossFit WOD (Workout of The Day)-I prefer going to the gym in the evening for “productivity” reasons. This is my exercise schedule, and for me, most of it’s on autopilot. I don’t even have to think about it anymore. And no putting off things. In fact, nowadays, ‘though my workout schedule looks full, it requires almost no willpower for me to stick with the routine. It just happens on its own. Naturally, every now and then I can stray a bit off-course — it’s just a part of life. But I always come back stronger. I’m well aware that forming an exercise habit isn’t the easiest thing for most people Most folks’ start a healthy habit—whether it’s running, eating clean, reading, or just spending less time on social media—then stop, then re-start again, then stop again. What I’m about to share with you today will help you learn how to break that endless cycle and turn your running (or any other workout routine) into a lifelong habit. In my three decades on this planet, I’ve come to learn a crucial truth about life. It’s a shattering realization that can mean either disaster or bliss. You choose which. We are nothing but creatures of habits. In fact, our life today is basically the sum of habits. We—mostly unconsciously—repeat 95 percent of our physical and mental patterns from one day to the next. Habits can make your or break you. It all depends on the type of habit you build. 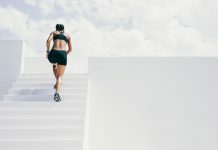 If you’re out of shape, or overweight, if you can’t climb a set of stairs without gasping for a breath if your life depended on it, then you’ve undoubtedly spent a lot of time (mostly in front of the TV, eating junk food and whatnot) building the habits that led to your condition. The good news is that you can also use healthy habits to turn things around. Good habits are what sets healthy people apart from the rest. Note: Are you serious about learning more about the power of habits then you should check out “The Power of Habit” by Charles Duhigg. In my humble opinion, it’s the best book on the subject and has helped me on so many levels. Get it here. Another book I highly recommend is “The Power of Full Engagement” by Tony Schwartz & Jim Loehr. This book was a real breakthrough for me, especially when it comes to time management and productivity. Get it here. Even though we humans are creatures of habits, the truth is that developing and maintaining healthy habits—especially the running habit—is no easy feat. But no worries. Today you’re going to learn some valuable lessons to help you turn your existing running routine into a habit. Most people who start a running program sabotage their new resolution by running too much too soon. This is the wrong approach, and a recipe for disaster. It will only lead to injury, severe burnout, and unneeded resentment. As a beginner, you must start with an extremely manageable and realistic goal and work up from there. Starting small—like opting for the walk-run method, or just doing a short run around the block—will make running easy to stick to in your first few weeks. This can make or break your running resolution. “A short run is better than none” is one of my favorite affirmations, and it usually gets me out the door when I’m running low on willpower and motivation. This mantra resonates even more with beginner runners. Whatever you want to achieve—whether it’s losing 20 pounds, running a 10K, or just being able to jog for 20-minutes without losing your breath—make sure your goal is realistic and small. The ideal approach to making running a habit—especially if you are beginner—is to start with the walk-run method as the gateway to your running program. 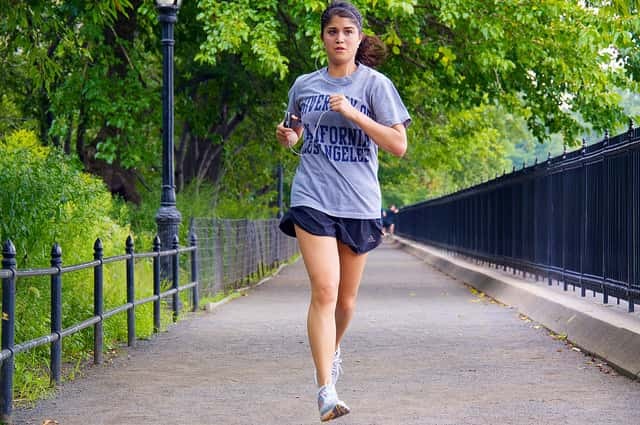 Here’s the beginner running program you need for that. Once you’ve decided to start running and have set a goal, you must back up your vision with a concrete plan. “Failing to plan is planning to fail.” This golden management adage often attributed to Benjamin Franklin, applies 100 percent to managing exercise plans of any kind. It holds a lot of truth to it. So, make a list and plan thoroughly everything that’s related to your running, from identifying a running route to choosing the time and type of run you’re going to do. Preselect your music playlist and anything else that’s a part of your training routine. Just as important as planning your run, you must also plan your rewards. Maybe it’s a delicious post-run smoothie, a massage, or a hot shower. It can be anything that gets you going. These rewards will motivate you to run, and that’s a good thing for achieving your long term goal. When you’re done with your planning, write it all down in detail and post it where you will see it on a daily basis. After coming up with a concrete plan, your next step is to “ritualize” your running. This is something I learned from Tony Schwarz, the author of “The Power of Full Engagement”, a highly acclaimed book on productivity and personal management. This is a must read if you’re serious about making lasting changes in your life. So, what’s a ritual and how can having one help you? A ritual is a specific set of behaviors that you do at the same time every day, or on the precise and exact days you select. To form a ritual, you have to define the specific behaviors—whether they have to do with running, weight lifting, meditation, you name it—that you’ll be engaging in. Once they’ve been defined, they need to be performed at the designated moment. By laying down an exact time for your running routine, you no longer have to burn up energy planning when to get it done. Rituals also have the advantage of having a spiritual and religious connotation that makes them more enticing, even if you are not a religious or spiritual person. It’s important to choose a particular time of day to run. You need to decide whether you’re more likely (and have the time) to stick with your running ritual in the morning, midday or evening, and once you select a time you need to stay consistent with that time, no matter what. I’ve set my time for 6:15 a.m. every day, and I usually do my best when I don’t stray from it, whether I’m going for a run or doing yoga. To increase the chances of success, schedule your runs the same way you schedule an important work meeting or family obligation. Make it a must by carving out a slot from your calendar. That’s how to do it if you’re serious about making it. Get into the habit of drawing a big red “X” through any day on the calendar you plan to go for a run. This means roughly three to four big red “Xs” should be on your weekly calendar. We lead busy lives. We have endless work hours and kids to take care of, the excellent but sabotaging world of social media and our daily obligations all take a toll on your running lifestyle. With all that said, I think the best way to get around a hectic life schedule is to run in the early morning when willpower is high and the rest of the world is still asleep. Research shows that consistent exercisers make an effort to work out first thing in the morning, so do your best to start running in the morning before the whole world, especially your kids, start waking up. How? It’s really simple. All you need to do is to wake up an hour earlier, have a light snack (if you want one), then go for a run. Once you’re done you can shower, have a delicious healthy breakfast and you’ll be ready to take on the rest of the day, knowing that you’ve already accomplished more than most people do. Remember that morning people aren’t born: they’re built. Running first thing in the morning will boost your metabolism, and you’ll be more productive for the rest of the day, which is coooool. For more on how to become a morning runner, check my post here. If you have a run scheduled in the morning, make sure to get your running gear ready the night before. Doing this will help you head out the door with minimum friction, as there’s nothing worse than waking up early and having to hunt through a dark room in a semi-awake state for gear that you need. This is especially important if you’re not naturally a morning person: if your running gear is nowhere to be found, you’re much more likely to drop the whole plan and say that you’ll run another time. So what do you need to lay out? Your clothes from underwear and socks to your hat. Earphones, shoes, watch, hydration belt, headlamp, reflective vest, gels, even post-run rewards—everything that’s needed for your run, in a nutshell. Once you decide on a running ritual, do your best to never skip a workout. If you skip a day, the process of the exercise habit formation only gets harder. It’s all about keeping your momentum going, especially during the first few weeks. The easiest way to keep your resolution going is simply not to stop. Objects in motion tend to stay in motion. It’s a basic physic law, and you should use it to your advantage. If your ultimate goal is to run three times a week, then schedule your three runs on non-consecutive days (On Monday, Wednesday, and Saturday, for instance) and do your best not to miss a day. Repeat the sequence until it becomes automatic. It should come as no surprise that if you don’t enjoy doing something, you’re not going to stick with it—especially not for the long haul. Forming (and keeping) a habit is going to be hard if you don’t enjoy running. In fact, if your runs feel like a death march then you’re doing something wrong. While forming an exercise habit, keep your focus on pleasure and fun, not on the end results. Want some ideas for making running more enjoyable? Enjoy the beautiful sky. Contemplate the quietude of solitude. Load up your playlist with your favorite songs. Upbeat music will keep you going while taking your mind off fatigue. Use the opportunity to listening to an audiobook, podcast or radio show. Your body needs recovery. It’s a chance to rest and readapt to your training load. I highly recommend that you take one day of total rest every week. If you feel that you need less rest, limit yourself on that day to a half hour of easy walking. The secret is to do something every day but your rest day, and ideally it should be an activity that gets you fired up and keeps your habit formation going. Don’t shy away from other exercise routines since they’ll also help you ingrain the exercise habit. Do plenty of strength training, swimming, biking, and yoga. Give yourself at least 66 days to make your new habit stick. I hate to sound like a broken record, but habits don’t form (or change) overnight. Perseverance is the name of the game. In fact, according to research conducted at The London University College, it can take up to six to eight weeks to form a lifelong, lasting habit, so stick with it for at least 50 to 60 days. After you reach that point, the habit will start to feel natural in your daily life. 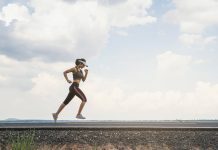 For running, it’s when you start building enough cardio base to run for about 45 minutes with ease, lose a few pounds and be able to see some real changes in your body and in how you feel. Word of caution. Every now and then, life will get in the way of your running routine. Injury, long hours at work, family obligations, holidays, you name it—all of these roadblocks are waiting in the dark for the right moment to mess up your plans. It’s just a part of life. Nothing personal. You don’t need to strive for perfection, and pursuing perfection will get you nowhere. If you acknowledge that you’ll definitely miss a day or two (or more! ), when it happens you won’t beat yourself up or lose sleep over it. Everyone makes mistakes and life happens — it’s part of the human condition. Missing one or a couple of workouts won’t matter in the long run. Habit formation is a skill, and like any other skill it requires conscious practice on a regular basis. It’s just like a muscle that you train. The more you exercise it, the stronger it will get. That means that if you fall off the wagon, you pick yourself up, dust yourself off, and go at it another time. Have the warrior spirit and never give up. Have you considered starting the running habit? Do you run regularly? I’d love to hear from you in the comment section. Featured Image Credit – Ed Yourdon through Flickr. Loved this! I’ve been running for 4 yrs now and kind of been in a slump. I know all the things you put in this article, but had kind of frgotten them. Thanks for the reminder! And new motivation! I’ve never run, but always loved the idea of running. I have exercise-induced asthma, which is another reason I’ve been more a spectator. I found, and copied, the Run-Walk Eight Week plan and hope to start that soon. I want to invest in a better pair of shoes before I begin running so that I won’t have to stop in the middle to replace the ones I have. Thank you for taking the time to write this out, it will be a very helpful reminder and resource to come back to. Great advice! I’m just getting started & needed this. Weight is not coming off like I had hoped but it’s only been about 3 weeks. Thank you! I used to workout habitually and then, just like you said, took an extra rest day…then another…and here we are! I’ve just recently started trying to reform the habit, but I feel like it’s much easier to break than to build. Great tips! Thank you for this post! I especially loved #11 . . . that’s the one that always gets to me and I need to keep reminding myself of. I’ve been running for three years and just ran my first half marathon back in May (which was an amazing feeling to accomplish!). I seem to be able to train for a certain goal but struggle with the day to day “ritual”. Thank you again! Great article. I have been a runner and was at eight to ten miles a day. I then went back go school and haven’t run in two years. I ran track in high school but never races. I decided to get myself motivated I would enter races. Ran my first a month ago. So fun! I run also because of fibro n depression. Running for me is life! Thanks for this. I ran my first race in December and afterwords, I got caught in # 11. I went back to school, working full time, 2 kids, life just got busy. I ran maybe once every couple of weeks but not enough. I love # 3. I really think that if I use this mindset I will be able to get back on track. Thank you for the motivation!! I’m not a runner, at all and just barley quality as someone who works out, but this article will change me for the better! You made it sound so effortless, easy and very rewarding to go just for a run! WoW, can’t believe I just said that;) Can’t wait to hit the pavement and go forward to a new me! Thank you again!!! I absolutely love this. I have been researching a way to get healthy and I know it is not one dimensional. I have to exercise, eat better, etc….This blog can be used for people who maybe aren’t runners but walkers or do any other type of exercise. The point is to make it a habit. Great info and insight. I will use this. The rules I shared are universal, so you can use them pretty much for anything. Thank you so much for this article!! Im trying to start my running habit this information will help me a lot. I started walking last week to lose some weight. Did you match any specifically diet with your running routine? All good tips but I suggest running with a group of like minded people. I’ve been running for about 5 years now, completed one marathon but I always lost my mojo for a month or two because of boredom. I’ve now started running two or three times a week with a group of men and women from our local athletics club. It’s just for fun and to keep in shape. 5-10 kms mixed up with some light speed training. Loving it and my PB for 5km is slowly improving. Great post to share! Thanks for this useful, informational and motivational post. Loved the 11th point “Life is messy you know”. I really loved this text! I got so excited that the time i was reading these lines i was already planing my running! I have already started to run many times, but always something happened that made me stop. Your 11 steps are all i needed! Thanks a lot! I’m anxious to get started! I have “run” a 5K earlier this year; meaning I walked it in 1:08. I was extremely please with myself as I had not run nor walked in the two months before it. Then summer hit hard with the heat indexes for most days going over 100 degrees and zapped all energy from me. I also have some medical issues at play. Now that it is fall, I am mapping out walking to jogging to running routine where I can participate in several 5K’s that are hardier than the one I have already completed. Thanks for the reminder of how and what to look for! I have gone to the gym at 5:30am for 10 + years so that part is certainly a habit. But I decided at 55 that I want to run my first 5K and I’ve been using an app to get there. I’ve never been a runner but I’ve always wanted to be. I’m struggling with running 3 days a week and making that change to my already solid habit of doing other types of exercise – it’s easy to talk myself into the same old thing once I get to the gym. But there were several great tips in your article and I will put them to use immediately! Thanks much!! I used to be a regular runner many years ago….now, after two kids and what seems like a life time, I’d really like to get back into it. The main problem is, I work an odd schedule. I work 10pm-6am two nights a week and 7pm-3am three nights a week. Should I still try to run first thing in the morning, or after I sleep? I urge you to run whenver you have time. For me it’s the morning, but that’s not written in stone. Every one is different. Best article yet I’ve read. I’m almost 4 weeks in a running routine. Never liked running. Yesterday I made it to my first mile of running. Then I reassessed my next goal. I’m already feeling the mental benefits of running. just patiently waiting for the weight loss. It’ll come. I know it. Thank you for the comment. I do my best to provide my readers with the best. Love this, reminds me to continue my running. Up until june I had the ritual of walking/Jog intervals bright and early every chance i got until lumbar injuries from past incidents began to rise, still i pressed on being hard headed. Anyways I even got my mother in on walking daily and that was a success story for me. I hated exercising, but loved it after a college course. Lost 35 lbs when I got to it a few years back. From the injury of herniated disk which was severely inflamed to the towering effect of nerve damage in my right leg I have been out of my routine for roughly 2.5 months and just started pressing back into where I used to be. Its hard and discouraging when injury takes place but its not over just yet. I will rise again little by little. Thank you for the post. Thank you for the helpfull comment. Every one can do running in the morningaround the village or at the park, run along with a circle of riends to make it more enjoyable. Doing it every morning as a daily habit then afterwards you and your friends can join a RUN FOR A CAUSE PROGRAM in your community, you will not only enjoy and lose weight at the same time. you also have the chance to help other people. Itn’t it great, 1 hits in a row.. That was awesome. This is the philosophy I adopted 5 years ago and I live it everday!! Running keeps my stress in check and I really think it keeps me sane. I get up before the rest of the family and do 5 to 6.2 miles each AM. Motivates me to take on the rest of the day! I’m glad you loved my post. I have been a couch potato for 10 + years. I am sedentary & am 65 or more pounds overweight. I am really tired of feeling tired all the time & tired of being so fat. It is uncomfortable. I am trying to read up on what to do to start. I want to become a runner but I can’t start running at this wt. I have just decided today again, to walk. I can walk a level mile at a medium pace without problems. Usually I have in the past walked 6 was before running because if I hurry it my knees hurt worse & worse. So I have to start slow. Than I can start running. Thanks for your article. Totally a great article – it gave me the motivation to try and I’ve been doing this for the last month and it’s definitely getting easier! Waking at 515am to go for a run seemed impossible but I’ve actually enjoyed it and hope to keep it going! It really is a great start to the day and I’m seeing results Thanks for the good tips! Great advice! I started running about two years ago after my second daughter was born. I made the mistake of doing too much too fast and had 3 stress fractures! Now I have a 7 week old and am starting to run again slowly. With 35 pounds to lose my knees hurt and I’m slow but I’m out with my double stroller at least once a day. I look forward to wearing short shorts again! Lol. I’ve been overweight for years and I’ve just started my fitness journey. I’m currently able to walk 3-4 miles a day and I’ve started adding short bits of jogging to my walks. I get winded very easily, my legs don’t mind the jogging but my lungs start screaming at me after only a few yards. I’m hoping that the more I do it the easier it will get. Do you have any advice for someone who is overweight and trying to get into running? This made so much sense to me. I loved this article. Hey, this was a really motivating and realistic article about habit formation. I’m not planning to run immediately. I’ll start out walking for an hour everyday. The habits I want to form are eating healthier and exercising regularly. I started yesterday. I hope I can keep with this. Great post! I think my biggest struggle for making running a habit is the monotony of it. The suggestion you gave to mix it up seems obvious, but it was definitely an “ah-ha” moment for me. Plus, mixing it up will help me more motivated and more willing to go out and exercise because it gives me more variety to succeed. Great thoughts! Enjoyed the article – here is my struggle; I have been running for 17 years but I don’t get better because of my lack of consistency. I have run 6 marathons, numerous halfs and many shorter distance races. I just ran Disney on January 10th, and haven’t run but 2 miles, maybe 6 times since then. I am slow, over my ideal weight and overall just not feeling good about my running. Disney was my slowest marathon yet. My goal for this year is to be more consistent, so your article is right on target. I just need to make it a habit and stop letting everything and anything get in the way of my running. Hi I’ve been seriously thinking about running and have gather just about everything you can think of to get myself going and nothing has happened, if I read your encouragement letter as I like to call it chances are I’ll be a runner soon…?? thank you…now I’m going to walk..to start, one more thing thank you for reminding me it’ll take 50 days to make the habit..I needed that! This inspired me to start running again. I haven’t ran in over four years after having my daghter at 43. Thanks for the advice. Just happened upon this, thank you for the inspiration! I’m a fairly new runner in my late 40s and I’m planning my first 10k next month. I’m totally excited! I think one of the things I like most about running is that you can do it almost anywhere. Hi! So I have been trying to get myself to run more often but I gave up after I had gained all the weight I had lost over a three month period of time. I love running but lately college responsibilities get in the way. What do you recommend? Thank you so much for writing this piece. Most pieces written as encouraging self help always end up cheesy and unrealistic but this was awesome! Thank you for the article. It was quite refreshing n also motivating. I want to start running…I AM NOT A LOVER OF RUNNING but I think if I were to include it into my workout routine it would show positive attributes to my physical n mental being. ?? I’ve started before but my efforts have fallen by the wayside. I’m going to put it on a schedule n try again. Wish me luck! !